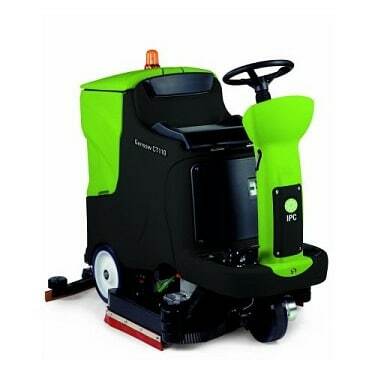 Hire a ride on floor scrubber dryer to clean your larger floor areas, scrubber dryers are designed to clean all types of hard floor surfaces in many different industries. These machines not only clean your floors with water and cleaning chemicals, but will dry them as well. 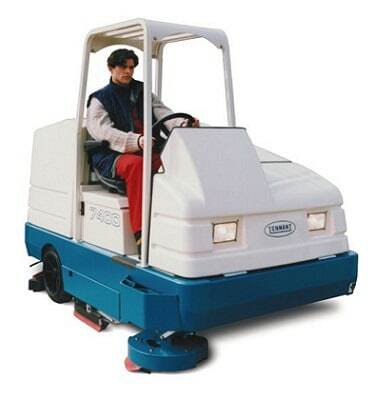 These floor cleaning machines are highly manoeuvrable and easy to use. With the flexibility of weekly, monthly or long term hire available we are confident we will be able to meet your requirements. We are more than happy to talk through your floor cleaning machine requirements and can provide you with suitable options, for further information including prices please call us on 01684 850777 or email us on info@clemas.co.uk. 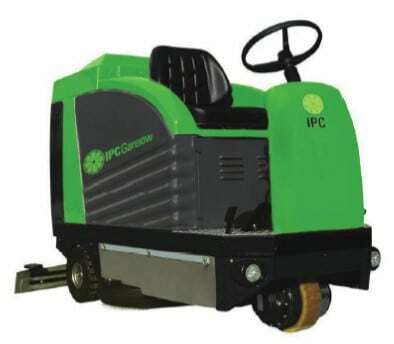 The Gansow CT110 BT85 is a battery powered ride on scrubber dryer with a 850mm scrubbing width and a 110 litre solution tank capacity. 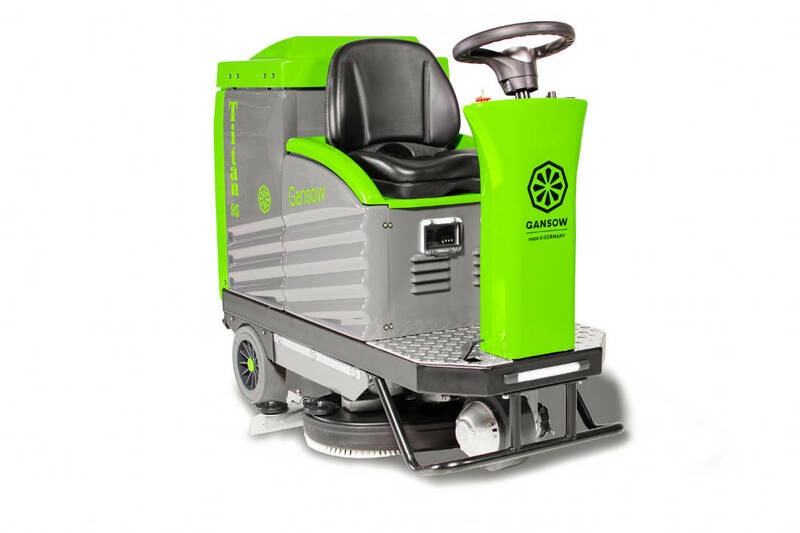 The Gansow Titan 142 ride on scrubber dryer has a 142 litre solution tank capacity and a 700mm scrubbing width. 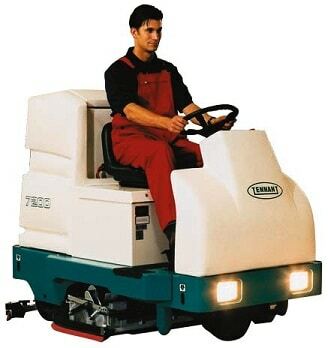 The Tennant 7100 70cm is a cylindrical, battery powered ride-on scrubber dryer. 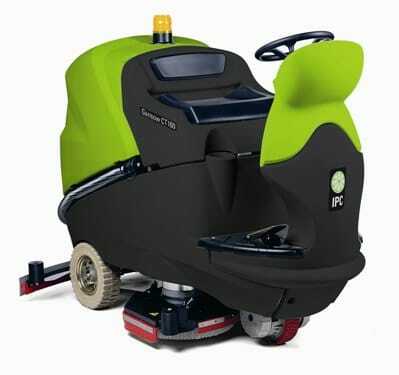 The Gansow CT160 BT85 is a battery powered ride on scrubber dryer with a 830mm scrubbing and a 145 litre solution tank capacity. 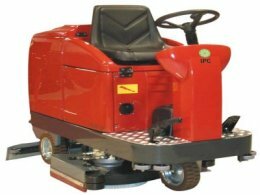 The Tennant 7200 ride on scrubber dryer is versatile enough to scrub both open areas and tight spots. 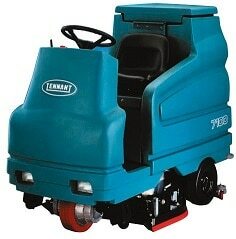 The Gansow Titan 252 ride on scrubber dryer has a 250 litre solution tank capacity and a 1000mm scrubbing width. 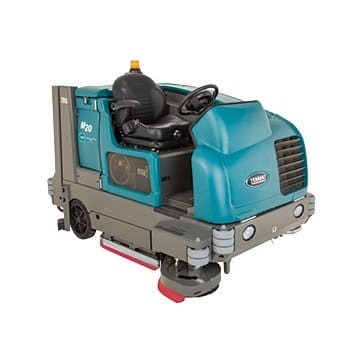 The Tennant M20 combination sweeper/scrubber dryer is engineered for consistent, industrial strength cleaning whether scrubbing, sweeping or doing both at once.